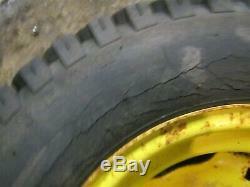 John Deere 316 322 330 332 318 Tractor Good Year 23x10.50-12 Rear Tires & Rims. Unless items are listed with multiple quantities. 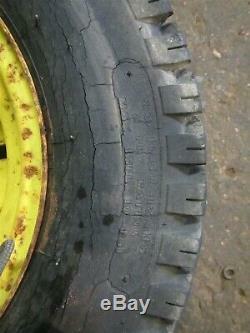 Item condition: Good usable condition, Tires have some dry-checking. Based on the part #, this will fit the following models: 110, 112, 200, 208, 210, 212, 214, 216, 300, 312, 314, 316, 317, 318, 322, 330, 332. This part may also fit some models that are not listed. Even if the part looks the same, it may not be the same. Monday thru Friday, 9:00 A. We can only hold paid for parts for pick-up for 30 days. After 30 days parts will be relisted. All our items are guaranteed to be in the condition described. Make sure you read the item description prior to purchasing. Since we sell USED parts, occasionally a bad part slips through. Please do not worry, we will take care of it. Our return rate is extremely low as we test almost all our items prior to listing them. Why choose Joes Outdoor Power? Everything we sell is guaranteed to be in the condition described (yes a bad part slips through, but our return process is simple and fast) 3. 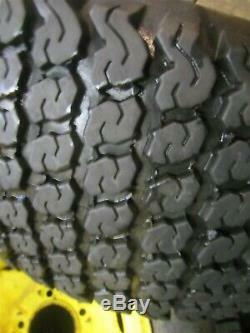 We provide part numbers for almost every part we sell, we also can tell you what fits on almost everything. Some claim to do their research, unfortunately, many have copied and taken credit for what we started. We answer every question, often very fast. We will even tell you what parts fit if you are looking at a competitors items instead of ours! Feedback is left for you the same day the item ships, not after you receive the part or after you leave feedback. We have over 500 tractors in our yard, and during warmer weather, we often get tractors in daily. We carefully wash every part that can safely be washed, oils are drained, and loose parts are carefully attached to larger parts. 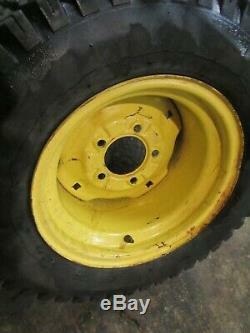 We do not paint of modify any parts. We are simply the best at what we do. No others compare, even though they try! Item Weight: 60.00 lbs. Item Size: when applicable 0.00 L.
Thank you from all of us at. Powered by SixBit's eCommerce Solution. Woods 5182 5180 Mow n' Machine Transmission Drive Control Links. John Deere 317 Tractor Kohler KT17 17hp Engine Starter - rear post. John Deere F910 F911 F912 F925 F935 F932 Front Mow Tractor Adjustable Seat Mount. MTD Yard Machines 20hp/50 Tractor Hood. John Deere 322 332 318 Tractor Hydraulic Control Valve Lever Pins. John Deere 322 332 318 Tractor Power Steering Cylinder Steel Lines. John Deere 322 332 318 Tractor Power Steering Cylinder Rubber Lines. John Deere 316 w/Onan 322 330 332 318 Tractor Hood. John Deere 316 w/Onan 330 318 Tractor Dash Console. John Deere 316 w/Onan 330 318 Tractor Hydraulic Line - Power Steering Outlet. John Deere 316 w/Onan 322 330 332 420 430 318 Tractor Brake Rod Springs. John Deere 322 332 420 430 318 Tractor Hydraulic Quick Connects. 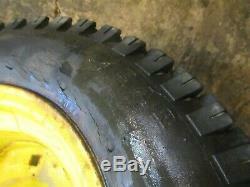 The item "John Deere 316 322 330 332 318 Tractor Good Year 23x10.50-12 Rear Tires & Rims" is in sale since Wednesday, February 20, 2019. This item is in the category "Home & Garden\Yard, Garden & Outdoor Living\Lawn Mowers\Lawn Mower Parts & Accessories". 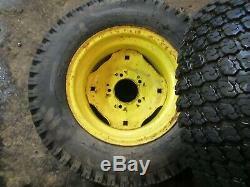 The seller is "joes_outdoor_power" and is located in Kingston, Michigan. This item can be shipped worldwide. 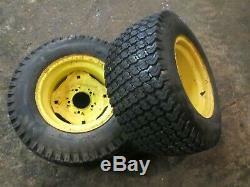 Engine PTO Size: 2 5/8" x 1 7/16"